When it comes to Lechuguilla, the question is where to start. I discovered Lechuguilla Cave through my undergraduate Geology departments Brown Bag Seminar series, a noon-time treat every third or so Thursday, in which a member of the faculty, and invited speaker, or undergraduate pursuing research with jump up in front of a projector and talk about whatever they wished. It’s a good time for all, but all but the one I gave and the joint presentation of Lechuguilla Cave were the only ones that really stuck. 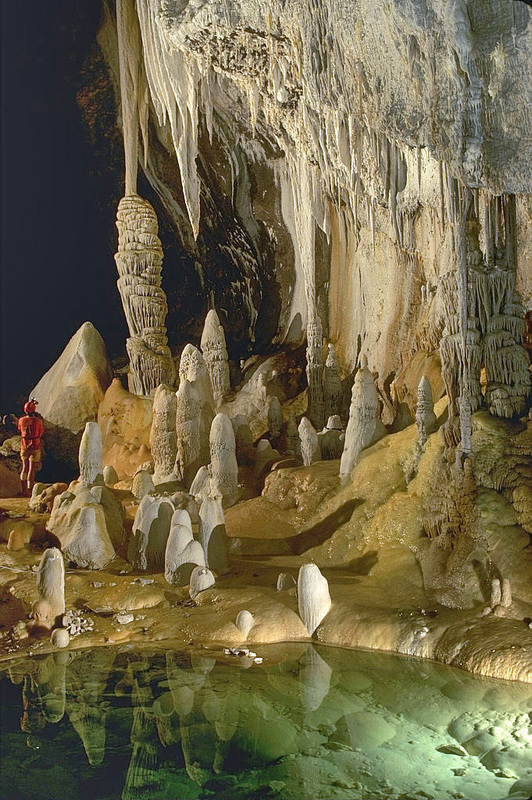 Our undergraduate department contained a rather important figure in caves and karst research. I won’t go into name dropping, but let’s just say he wrote the book on the subject. By my second semester there, he was retired, but retained an office, led caving adventures through the Helderberg strata in New York, and lectured in Intro Hydrology and Geophysics classes. I also had two student mentours, my trainers for eventually taking over Geology Club duties and leading my own escapades into novice NYS caves. Sometime unknown during my time at the school, the three of them, plus many other prominent cavers journies on to Lechuguilla Cave in New Mexico. We were not to know then where and when they were going – as their adventure was quite secret, enough to not disclose the location of ‘Lech – as the cave in generally invite-only and extremely dangerous. They came back with extraordinary images – seemingly endless surreal pools, dogtooth aragonite, and some of the most amazing cave formations one could ever imagine. 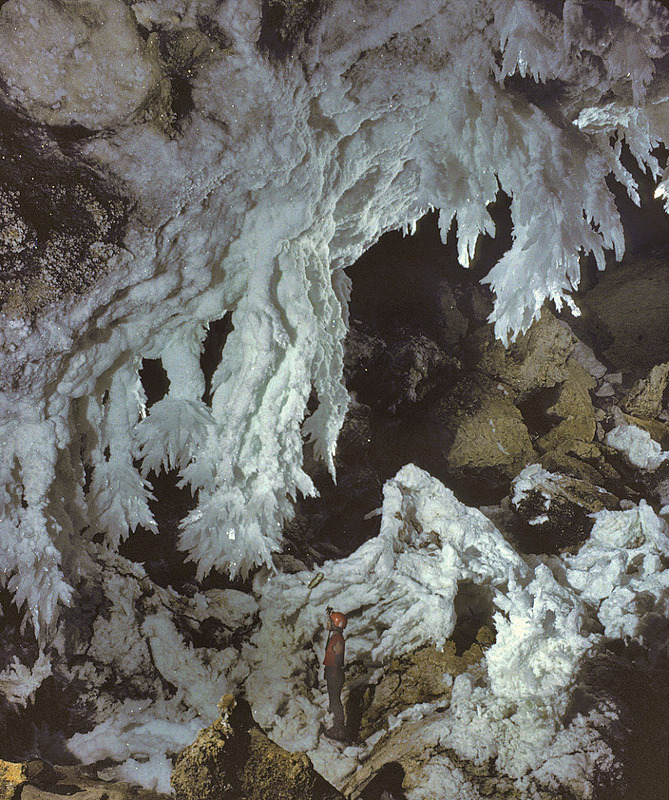 Mexico’s Giant Crystal Cave has nothing on Lechuguilla. But what makes it so spectacular? For one, it’s the sixth longest cave in the world, as well as the deepest in the continental United States. Lechuguilla plunges to a total of 1604 feet and is approximately 134 miles “long”, yet this is not what makes Lechuguilla such a Mecca for karst geologist – it’s the formations. Sometimes, you can just let the picture do the talking. There’s not so much to say on Lechuguilla, as it is just so unknown still – even after the breakout in May 1986.